I come from the country that is regularly ranked in the podium of the World Championships of Well-being. Even the World Happiness Index tells that Finland is one of the happiest nations in this planet. Well, as a Finn I must confess that I am not convinced when I look in the eyes of my fellow citizens (especially during the winter period) or in the statistics of public health, of alcohol consumption, of misuse of drugs, of crimes, of costs of social work, of child welfare and of marriages and divorces. The picture of so-called social well-being or happiness seem to be quite contradictory. For example, the general level of criminal behaviour is now three times higher than it was in the beginning of 1960s when the development of welfare state was just emerging. The explanation of this confusing fact offered by relevant research is quite enlightening. Crimes of property get more common when there are more possibilities to commit crimes – so when there are more people living richer life closer to each other in better material conditions in the cities, it leads to more crimes in numeric terms. The other basic type of crimes is violence and this statistical data follows the statistical data of alcohol consumption which is now three or four times higher than it was in the beginning of 1960s. So, more prosperity and more alcohol consumption together raise the general level of criminal behaviour. That means, the well-being causes ill-being; or, in other words, what was planned to produce good life produces bad life, or yet in other words, what begins as a free hedonism ends as an enslaving addiction. I would like to state that Nordic welfare model or the society of well-being cannot understand or solve these kind of problems because the philosophical grounds of welfare state are based in a wrong or outdated concept of freedom. This same problem is actually part of a political philosophy in every kind of liberal democracy. So, it is my main argument that we need a new concept of freedom. After this reform of freedom, the liberal society can take a leap to a new level and our culture can once again turn vital, promising and future-oriented as it should be – and not to decline to Untergang, to fall down, in the way Spengler was already prophecising one hundred years ago. Freedom is a second-degree system. There is no use in waiting for the victory of this or that value system or way of life in liberal democracy. Different value systems and ways of life compete and complete each other in a healthy liberal society. This rule is of course mainly accepted by every political party and line of thought which try to win followers as much as possible. However, what is quite often missing is the profoundly understood strong value system of freedom which I think is the most important condition for the progressive politics we obviously need just now in our modern societies. Freedom should be stated and understood as a goal of politics – not something which is already there, built in our human nature. If we take this seriously enough, perfection of human freedom could become the end of dynamic history – the end that is infinitely desired because its final state is unattainable. If the set goal is unattainable – say, hope of freedom and justice – the pursuing of the goal keeps us busy forever. I can see two competing moral traditions in western culture including two different ways to picture the highest good and the ultimate goal of the cultural evolution. - Eudaimonism (good life, well-being, happiness) (Greek and Roman philosophy). Iconic picture of this line of thoughts could be nowadays – after east has come to west – happy Buddha. 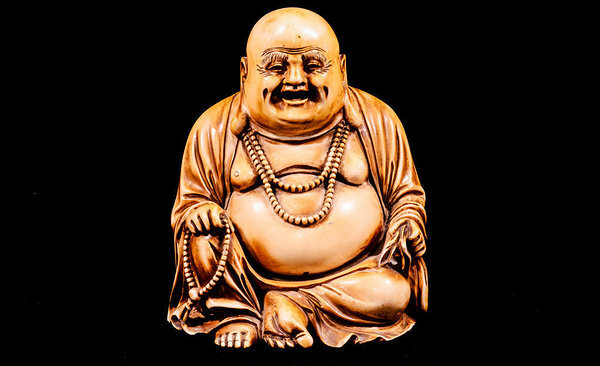 Happy Buddha is excluding the contradiction of humanity (nature/causal determination vs. culture/free choice). - Monoteism (ethical perfection, well-doing, righteousness) (Judaism). 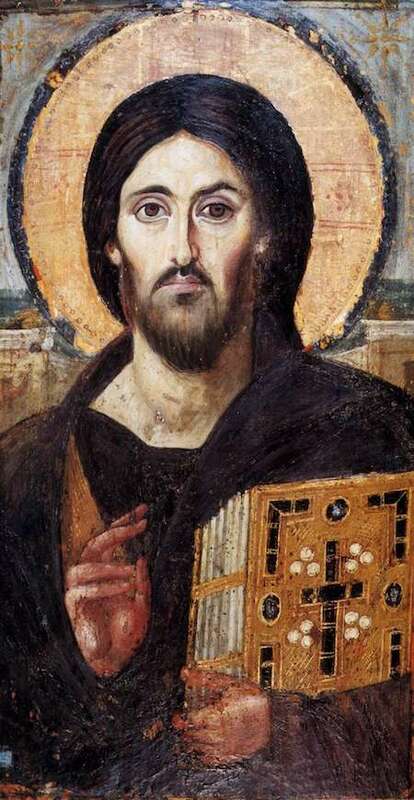 Iconic picture of this line of thoughts could be passionate Christ with double-face (as seen in 6th century icon at Monastery of St. Catherine, Sinai). Passionate Christ is including the contradiction of humanity (nature/suffering vs. ethics/free spirit of goodness). It is possible to mix these traditions partly, but it is definitely not possible to unite them. After the traumatizing 20th hundred modern history, communism, Nazional Socialismus, Second World War, holocaust and gulag, the Western culture has focused more and more on well-being and happiness which are easily achieved and sufficiently demonstrated by surveys and data collected in ideological memory of society. This means that our culture is step by step moving to the stagnation and empty space without strong challenges. From the Spenglerian ’Untergang des Abendlandes’ point of view one could even argue that the badly wounded western civilisation has raised its hands and is waiting for some other strong value-system to come (for example Chinese confutsean-communist collectivism). The law of life is active overcoming, infinite transcendence and waste of power (not only self-preservation, ecological adaptation and energy saving). This important and forgotten view lies behind the concept of ’will to power’ by Nietzsche. Utilitarianism and other thought systems supporting the well-being ideology, depicts the life in line of Darwin and his economical way to understand the forms of living nature. Nietzsche’s ‘will to power’ challenges this assumption and I think his view is even more convincing than Darwin’s when we look at the history of the human kind. At least the western cultural evolution is not based on adaption, survival-instinct and energy saving. On the contrary, humans as cultural beings do not respect the limits at all, actually we drive for unattainable goals and always try to achieve more than is possible to realize in present conditions. This burning driving force is maybe hidden in life itself - as Nietzsche thought - but certainly it is evident in human history, which will never find its happy end or turn around. To my mind this growing ’will to power’ is evident also in individual human life. After the death of God, noticed first by Hegel and then by Nietzsche, the salvation and infinite life is no more the transcendent goal of western culture. Nevertheless, the transcendence as such did not die – it only got inside of humans. I would like to state that this is the very condition of modern human individual who tries to find meaningfulness or hope to her or his life. The sense and meaningfulness of life is possible to touch only by immanent transcendence which means overcoming oneself again and again and again. The contradictory force of culture is now inside of us and we really feel its demanding power. That is why the border-line appeals us and whenever possible, we transcend our limits, trying to attain the unattainable. Some well-being therapists and other healing professionals may think this is bad for your health but I think that this endless ‘dialectics of the unattainable’ – as I have named it - is the only endlessly dynamic way to fulfil the deepest life potentials we as free individuals feel inside of us. So, I conclude that the passionate immanent transcendence is the winning virtue of the modern man. It is obvious that we need a moderate well-being but it is not the goal of humanity, it is only one of the basic conditions of cultural and moral evolution of the human kind. As I already stated, we can not take freedom as an inborn and given capacity of our species homo sapiens. On the contrary, we should view freedom as our most valuable goal which we can only gradually and to some degree achieve. However, the constitution of liberal democracy was rooted to the philosophy of freedom by John Locke and other thinkers of that historical period which gave birth to modern civil society and state of free individuals during 17th and 18th hundred. They were quite sure that we humans are created by Divine Creator who has given us inborn rationality and free will. As we now know, after Darwin and evolution studies, the evidence of the modern free science has pictured us a in a more prosaic way. There is no other essential human nature than the nature of bipedal animal species homo sapiens. Rest of us is culture which is product of human history. Every aspect of our freedom is made and kept only by our own moral choices, which indeed require free will as a condition for the ability to choose between different courses of action, first in our mind, in our consciousness, and secondly in real action. Actually, the latter requires also an ability to break the causality of natural world we live in and it maybe only an illusion. Anyhow, the innate free will of human nature is for sure an illusion. I can now point out my main statement again in more general level. The illusion of natural freedom has become more and more appealing and even authoritative assumption of our conventional liberal thinking which is the leading ism of our time. All the unhealthy problems in ways of life, in social morals and in social policy are products of this illusion. If we want to overcome these problems, we should first consciously regenerate the concept of freedom and then change the perspective in health service and in social policy. When we read the constitution of a liberal national state, we should connect liberty and responsibility of free individuals. That would call a new way of understanding the basic rights as duties as well. For example, the health and well-being of a free individual is not so much product of public services as it is of his or her own free choices. What public health services can do is to require commitment to healthy way of life. Actually, this would be a logical part of the insurance agreement if its goal is the health of the insured. To make this point a general attitude of politics, I argue that public social policy should change from well-being policy to well-doing policy which would in practice mean that we do not give resources to free and healthy individuals without requiring agreements of commitments by themselves. That would cause a historical turn in liberal social policy and it should courage the freedom of an individual by taking his or her autonomy as a most important factor in calculation of results. Thank you for your attention for this call for reform of freedom, and my sincere congratulations on the occasion. You Estonians truly know, and cherish, the value of freedom. 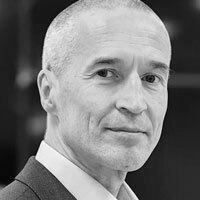 Jari Ehrnrooth is a Finnish writer and philosopher, adjunct professor of cultural history at the University of Turku, and of sociology at the University of Helsinki, a columnist at YLE, the main news program of the Finnish Broadcasting Company. He has published novels, essays, free prose and scientific studies since the beginning of the 1980s. His latest work "Hyvintoimintayhteiskunta" (2016) has sparked lively discussion across borders and was published also in Estonia („Hästi toimiv ühiskond", 2017). Ehrnrooth has been awarded with Kalevi Jäntti literary award, Valopilkku award and the Academy of Finland Award, among others.